Elvis Week 2017 at Elvis Presley’s Graceland will mark the 40th anniversary of Elvis’ passing, and is expected to be the largest Elvis Week ever. This will also be the first Elvis Week with the new Elvis Presley’s Memphis Entertainment Complex and The Guest House at Graceland resort hotel. The celebration will feature more than 30 events held on-site at the Graceland campus, including: the largest ever Auction at Graceland; live music nightly including an Elvis Gospel Celebration Concert, Salute to Sun Studios and A Band of Legends; the Ultimate Elvis Tribute Artist Contest®; fan club gatherings; charity events; plus panel discussions with the musicians, co-stars and friends of Elvis that knew him best. And of course, one of the highlights of the week is the annual Candlelight Vigil. One of the signature events for the week will be the 40th anniversary concert event at the FedExForum in downtown Memphis. Elvis: Live in Concert will showcase a symphony orchestra live on stage with Elvis Presley himself on the big screen. The concert will feature a very special personal appearance by Priscilla Presley. Following is a list of key events. 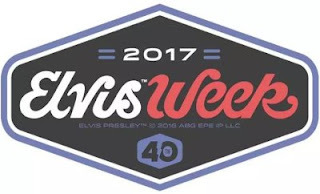 For the full schedule with times, descriptions and locations, visit ElvisWeek.com.